Ross County will draw up a shortlist for their managerial vacancy on Friday. Former Netherlands, Ajax and Chelsea defender Winston Bogarde is among those to have applied for the job. His former international team-mate Patrick Kluivert has also been linked with the role. County sacked boss Derek Adams at the end of August after failing to pick up a point from their first four league games of the Scottish Premiership season. 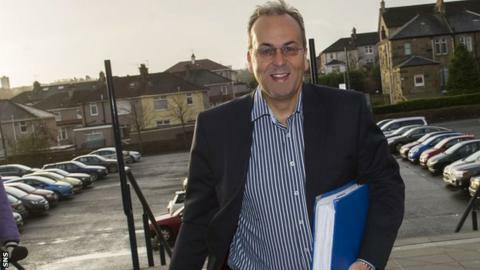 The Staggies remain pointless after five games and chairman Roy MacGregor told BBC Scotland on Tuesday that the club are keen to find a manager who can give the club an immediate boost, as well as a long-term vision. McGregor also revealed that Kluivert was still in the running for the job, despite reports suggesting the Dutchman had ruled himself out of contention.